At Horizon we are committed to being a responsible business. We understand that sustainability and wellbeing are fundamentally important, as are managing the expectations of local people and our impact on the environment. 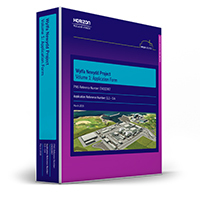 Horizon’s management system is certified to ISO 9001 and ISO 14001, and OHSAS 18001 UK and international standards for the delivery of activities to build a UK nuclear utility company and to develop, construct and operate the UK Advanced Boiling Water Reactors at Wylfa Newydd. We’re committed to building and sustaining positive relationships with our local communities and stakeholders at all times.